LaBarberia Institute of Hair, the Cleveland Barber College, has been recognizing our students with a monthly spotlight for their talents, ambition, and hard work. During the month of February 2019, we would like to acknowledge Chris Bresnahan. Chris is from Euclid, Ohio. After graduating from high school, Chris was eager to begin a lifelong career. He knew that college would not be the right fit for him because he did not want to wait four years to start working. He considered barbering as a career option, however he did not know if it was his calling or not. He was drawn to the idea of making good money and always having a job opportunity, which barbering provides. After looking around at other barber colleges in the area, Chris chose to visit LaBarberia on the day after he graduated high school. He loved how straightforward LaBarberia was in helping him achieve his goals of expediting his career. 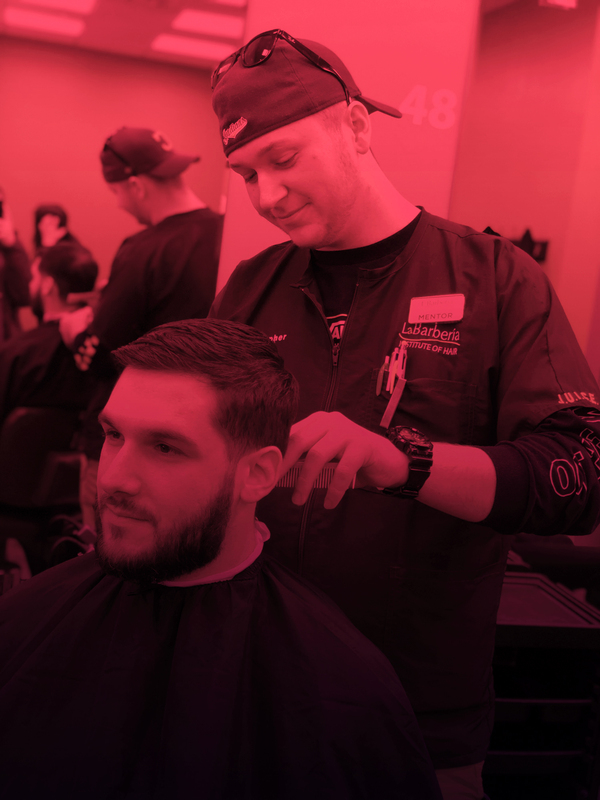 Three days after graduating, Chris was enrolled and starting barbering classes. Unlike other fellow students, Chris had never touched a pair of clippers prior to coming to LaBarberia. Despite this, he has excelled in barbering. He believes some of the best students in the school are the students who came without any experience, because they do not have any bad barbering habits to break. Chris credits the instructors and teachers at LaBarberia for some of his success. He said the teachers will definitely help you learn, and learn the right way. Two weeks ago, Chris was selected to become a LaBarberia Student Mentor for his classmates. To be selected, a mentor has to be someone others can look up to, know what they are doing, and have the ability to help others. Chris joined about 15 other student mentors at LaBarberia. After graduating from LaBarberia, he hopes to join someone he knows and work in their shop. He is excited to finish school in June.